A perfect storm of technology trends—the Internet of Things (IoT), bandwidth-hungry cloud and video applications, an explosion of new devices—is driving organizations in every industry to upgrade their WLAN infrastructure. 802.11ac Wave 2 can deliver the performance you need, but it can also quickly overload existing 1 Gbps backhaul connections. Who wants to bear the cost of running more Ethernet and using more switch ports to ensure greater throughput between wired and wireless? 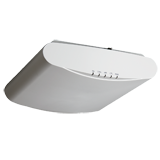 The Ruckus R720 indoor access point is our highest-capacity four-stream 802.11ac Wave 2 Wi-Fi AP. It features multi-gigabit technology, so you can step up to faster Wi-Fi speeds and 2.5GbE backhaul connectivity without having to replace your Cat 5e cabling or use additional switch ports. Deploy a high-performance, highly resilient WiFi network without breaking the bank. With hundreds of devices and nonstop wireless noise and interference, busy indoor environments can be the most challenging Wi-Fi deployments. The R720 makes it easy to deliver reliable, high-performance connectivity in large enterprises, office buildings, university campuses, convention centers, and practically any other indoor space. The R720 802.11ac Wave 2 Wi-Fi AP incorporates patented technologies found only in the Ruckus Wi-Fi portfolio. With four stream MU-MIMO connectivity, the R720 can simultaneously transmit to multiple Wave 2 clients in the widest available channels, drastically improving RF efficiency even for non-Wave 2 clients. Additionally, the R720’s integrated multi-gigabit technology provides a 2.5Gbps Ethernet interface, so you can more than double your backhaul capacity utilizing existing switches. Whether you’re deploying ten or ten thousand APs, the R720 is also easy to manage through Ruckus’ appliance, virtual and cloud management options. MULTI-GIGABIT ACCESS SPEEDS – Liberate the multi-gigabit power of Wave 2 Wi-Fi by using built-in 2.5GbE (802.3bz) backhaul to connect to multi-gigabit switches. STUNNING PERFORMANCE – Provide a great user experience no matter how challenging the environment with BeamFlex+™ adaptive antenna technology and a library of 4K+ directional antenna patterns. SERVICE MORE DEVICES – Connect more devices simultaneously with four MUMIMO spatial streams and concurrent dual-band 2.4/5GHz radios while enhancing non-Wave 2 device performance. 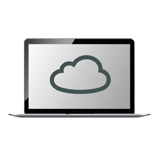 MULTIPLE MANAGEMENT OPTIONS – Manage the R720 from the cloud, or with on-premises physical/virtual appliances. GET OPTIMAL THROUGHPUT – ChannelFly™ dynamic channel technology uses machine learning to automatically find the least congested channels. You always get the highest throughput the band can support. BETTER MESH NETWORKING – Reduce expensive cabling, and complex mesh configurations by checking a box with SmartMesh™ wireless meshing technology to dynamically create selfforming, self-healing mesh networks. EXPANDABLE CAPABILITIES – Augment AP capabilities through the onboard USB 2.0 port to provide additional technologies like BLE. MORE THAN WIFI – Enhance your network with Cloudpath™ security and management software, SPoT™ real-time Wi-Fi location engine and analytics software, and SCI network analytics.